When running a type of business that involves a lot of laundry and linen, you have to spend a lot of time planning all the activities in advance. It requires time, effort, energy and resources. Also, the linen part of your business needs your constant attention and you certainly have more important things to do. 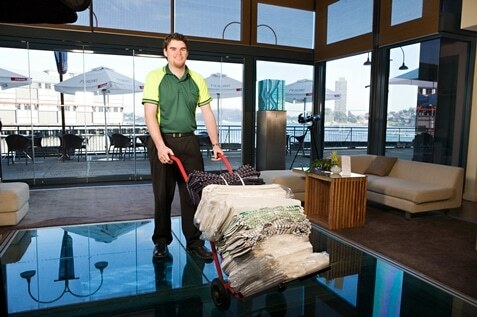 When you deal with dirty linen, it is recommendable to have a partnership with a good linen and laundry rental service. Some of the businesses that need this service include hotels, motels, spas, etc. As in every business partnership, hiring a company that would handle your linen and laundry has both pros and cons. The advantages would definitely be: a good work done and a lot of time saved. In most of the cases when you hire a professional service to deal with your linen and laundry, you will be sure that it is going to be perfectly washed and clean. Those services have the right equipment and expertise, so you don’t have to worry at all. Also, if laundry and linen handling can take a lot of time, so when you hire a professional service, you have all that time to spend on other important activities in running your business. On the other hand, there are also some disadvantages of course. The biggest one being the price! If you are only starting your business then you have to be very careful with spending the money. Hiring a professional service will cost you. However, if you work out a fixed monthly fee for these rental services that fit your budget, you’ll soon realise that renting is actually cheaper than buying. When renting, you always have new and freshly cleaned linen, while when you buy the linen, it wears off in time and you are back to the point where you need to make another capital investment. The next one is that you are not sometimes familiar with the quality level of work of some services. This means that some of them can sometimes do more harm than good, which can cause some business issues. In order to prevent this from happening, follow these six signs of a high-quality service and be sure you are choosing the best professional service for your business. Think about this – how many times so far have you asked someone for a recommendation or advice when buying something? And how many times have you bought a certain thing or service just because someone has recommended it to you? Word of mouth builds reputation and you want to do business only with other companies who cared enough to make it happen for them. Honestly speaking, a good reputation is priceless. All you have to do is to find a laundry and linen service which has a good reputation for delivering excellent and professional services all the time. You can also do some research on the Internet and look for the comments and grades of certain services. The thing you would never want to happen is not being able to provide a good service for your customer just because you do not have enough clean linen and other necessities. When choosing the best professional service make sure that they can deliver on time, but every single time! Next step is to make sure you hire the company which can always pick up the linen and laundry and drop them off at the arranged time. Every delay in this activity can cause serious issues to your business, and no one wants that. Try to make a schedule and find a company which is able to do the pickups and drop offs on a regular basis, according to your schedule. When you trust another company with an important aspect of your business, such as laundry and linen, you have to be sure that company has appropriate tools for doing their work. One of the reasons you are maybe hiring a professional service is the assumption they have better equipment than you, right? Talk to their representatives about the washers and the other equipment they are using just to be sure that you get what you paid for. When you are starting your business, you have to consider even the smallest expenses in order to make a profit at the end. We already mentioned the differences between periodical capital investments in new linen and avoiding this altogether by renting it. Adjustable and business-tailored monthly fee certainly is the more cost effective solution. It is not possible not to mention being eco-friendly when it comes to the activities such as washing and keeping the linen and laundry clean and tidy. Why? – Well, simply because a laundry service can have a huge impact on the environment since they use a lot of water and detergent. We have to take care of our planet, so there is nothing wrong in being green, right? A lot of small businesses are taking up the green initiative with huge positive reactions from their customers and clients. So, make sure you are choosing the service which uses eco-friendly products when washing linens and that they make efficient use of water. Also, it would be preferable if they use washers and dryers that use less water and avoid the use of harmful chemicals. Now that you know all the important signs that a company will offer a good service to your business, all you need to do is find such a company. 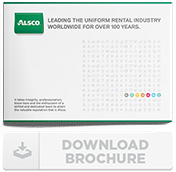 It may be easier than you think, because Alsco meets all of these criteria, easily! 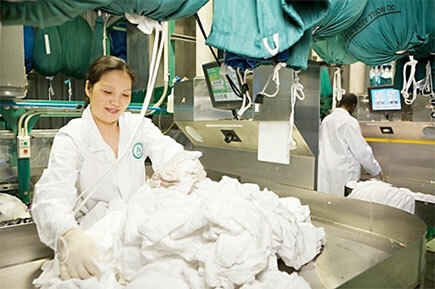 Minimise all your worries about linen and laundry by taking advantage of the linen services of Alsco. It is a well-known and trusted name in the industry. We provide high quality, clean and fresh linen which is always available. Call our friendly representatives to get all the possible info you need.